It was like Oscar night and prom rolled into one. Thursday night, men and women of all ages gathered at the Galleria of Mt. Lebanon in anticipation of the night’s main event: a screening of the film “The Fault in Our Stars,” adapted from John Green’s best-selling teen novel. Wearing dresses and suits — or, for a fancy few, gowns and tuxedos — most of the filmgoers, more than 300, chose to go Hollywood. But for many of these attendees, the film had added significance in their community. The evening, which began with a gala-style red carpet event before the screening, was organized and planned by St. Paul’s Episcopal Church in Mt. Lebanon — which was used as one of the film’s set locations. In the movie, main characters Hazel (Shailene Woodley) and Augustus (Ansel Elgort), two teens who meet during a cancer support group that is held within the walls of a church. Lisa Brown, the church’s communications director and its children’s ministry director, said she fondly remembers when the film was being shot at the church in fall 2013. As the church is near the neighborhood schools, teenagers would arrive on set in order to meet Mr. Green and the film’s stars after classes ended, oftentimes dodging police officers. Ms. Brown said she wanted to capitalize on that excitement. LOWER POTTSGROVE TOWNSHIP, PA — Even though it was 9:30 a.m., the music at the 2014 Relay for Life of Pottstown had people dancing around the track at Pottsgrove High School Saturday. After the teams made their entrance, the survivors — sporting dark purple shirts — took their lap around the track to signal the beginning for the 24-hour relay, which raises money for cancer research. Leading the way were Grand Marshal Denny Wade and Junior Grand Marshal Trey Love. “It is such an honor. It is awesome,” Missy Love said about having her son be junior grand marshal. 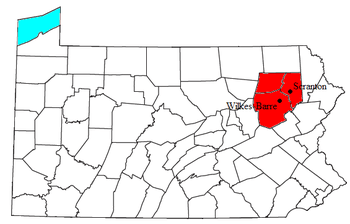 WILKES-BARRE, PA — Northeastern Pennsylvania should be concerned about its health. Luzerne and Lackawanna counties possess a “hard-living” population that is predominantly overweight, smokes and drinks too much, has easy access to illegal drugs, has a rising increase in mental-health issues and is living in poverty, according to data released Tuesday at the Community Health Needs Assessment forum sponsored by Geisinger Wyoming Valley Medical Center. Teri Ooms, executive director at the Institute for Public Policy and Economic Development in Wilkes-Barre, gave a presentation to about 6o people representing various agencies and health care facilities that showed the area’s needs and offered recommendations to improve health care, increase services and retain patients who seek care outside the area. Area hospitals made the annual U.S. News “Best Hospitals” lists in several categories. Lancaster General Hospital was ranked nationally in four specialties and ranked sixth in the state overall on the lists, which the magazine released recently. Lancaster Regional Medical Center was ranked 34th in the state. In the region, Penn State Hershey Medical Center was ranked 16th in the state and the Penn State Hershey Children’s Hospital was nationally ranked in five specialties. POTTSTOWN — The annual Relay for Life, a 24 hour walk to help raise money for cancer research, is right around the corner and this year will be packed full of activities that will help honor those who have fought back against cancer. The huge event will start a 10 a.m. Saturday with the opening ceremonies and end on Sunday at 10 a.m. The day-long event will be heralded in with Celtic pipes and drums along with the Springford Vocal Ensemble. This year, 129 teams will cheer on the survivors in attendance as they take the first lap around the Pottsgrove High School track to kick off one of the highest grossing relays in the nation. In its 16th year, the Pottstown relay has been ranked the fifth largest relay out of the 5,100 worldwide, according to Susan Schafer, a representative with the Pottstown Relay for Life. As of Monday night, 1,966 participants have raised $352,590.62 and that number will rise because the last day to stop raising money is Aug. 31. 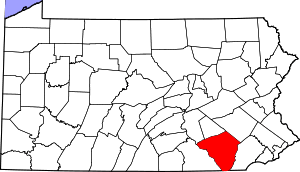 For the past 40 years the arrival of spring has coincided with Daffodil Days in Berks County, an event that spread the bright yellow flowers to homes and offices while raising a lot of money for the American Cancer Society. But the most recent Daffodil Days was the last. 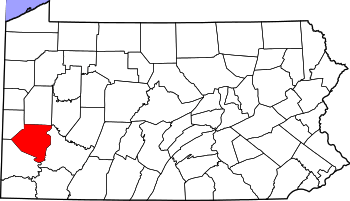 The society in Pennsylvania has done away with the popular sale, which already had been phased out in most other states. “After 40 years, there is certainly some nostalgia to seeing it go,” said Jo-Anne Sessa, vice president of the society’s region that covers Berks and 11 other counties. 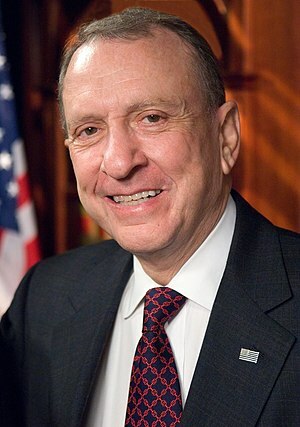 PHILADELPHIA – Arlen Specter, 82, the longest-serving United States senator in Pennsylvania history, a driven, often contentious figure who placed himself at the center of national controversies for a half-century, from the Kennedy-assassination investigation in the 1960s to the passage of the economic stimulus package in 2009, died Sunday morning in his Philadelphia home. Specter, who had served five terms before losing a re-election bid in 2010, died from complications of non-Hodgkin lymphoma. Editor’s note: This grant is explained in detail in the post below. If you could take a few moments and vote online it could be the difference between this money coming to Pottstown or going to another community! The Gallery School of Pottstown has applied for a grant from LiveStrong Foundation to expand our Healing Arts program. The Creative Center’s Hospital Artist-in-Residence Program works bedside and in small group settings with men, women, and children in oncology units, bone marrow transplant units, intensive care/respiratory units, hospice and palliative care programs, & pediatrics offering their patients the opportunity to learn about and become absorbed in their own creative resources as they meet the challenges of diagnoses, treatment and survivorship. http://vote.livestrong.org/vote2012/ PLEASE Click the PA map and then CHECK THECreativeCenter: Hospital Artist in Residence Program – you will see The Gallery School of Pottstown, and please don’t hesitate to forward this email to help spread the word.. Note if you are sharing your computer for voting you have to disable your cookies. Thank you in advance for supporting your community. Pottstown, PA – March 7, 2012 – Gallery School of Pottstown in partnership with the Pottstown Memorial Regional Cancer Center, a Fox Chase Cancer Center Partner has been selected as a candidate for the 2012 LIVESTRONG® Community Impact Project, which was created to bring proven cancer support programs to communities across the United States. Finalists will be determined through an online voting campaign that begins on Wed., Mar. 7 at 10am CST. Applicants with the top votes per region will receive a financial award of support to replicate and implement a sustainable program dedicated to supporting families fighting cancer. Finalists will also receive tools and resources from the Lance Armstrong Foundation, the organization established in 1997 by the cancer survivor and champion cyclist to serve people living with cancer and empower communities to take action against the world’s leading cause of death. The foundation is now known publicly by its powerful brand – LIVESTRONG – and is a leader in the global movement on behalf of 28 million people around the world living with cancer today. * The Creative Center – Hospital Artist-in-Residence Program: Since its inception in 1994, The Creative Center has been dedicated to bringing the arts to people with cancer and chronic illness through all stages of life as a way to help them discover their own creative resources while meeting the challenges of diagnosis, treatment and survivorship. The Artist-in-Residence program helps cancer survivors deal with the stresses of treatment through artistic expression. The program will work bedside and in small group settings with men, women and children – in oncology units, bone marrow transplant units, intensive care/respiratory units, hospice and palliative care programs. * LIVESTRONG at the YMCA: LIVESTRONG at the YMCA is a research-based program that offers people affected by cancer a safe, supportive environment to participate in physical and social activities focused on strengthening the whole person. Participants work with Y staff trained in supportive cancer care to achieve their goals such as building muscle mass and strength; increasing flexibility and endurance; and improving confidence and self-esteem. * Advanced Certification for Palliative Care: The Joint Commission’s Advanced Certification for Palliative Care is designed to set standards and acknowledge hospitals providing state-of-the-art palliative care services that relieve symptoms and stress of serious illness and improve quality of life for patients. The Center to Advance Palliative Care will provide tools and training to 20 hospitals and cancer centers across the country to assist in their efforts to qualify for the Certification. * Pillars4Life: Pillars4Life is a patient/caregiver support program that has been proven to enhance quality of life for cancer patients and allows hospitals and their social workers to more efficiently triage and attend to the psychosocial needs of a much greater number of patients. Gallery School of Pottstown in partnership with the Pottstown Memorial Regional Cancer Center, a Fox Chase Cancer Center Partner is among hundreds of organizations still in contention for the award. If selected, they will use the awarded funds to expand on the Healing Arts program that is currently offered to cancer patients at the hospital. The Pottstown Memorial Regional Cancer Center serves the tri-county area with award winning traditional (surgery, radiation, chemotherapy) and complimentary/integrative care (Reiki, harp, massage) treatments. The Healing Arts program’s focus is on using different art modalities, group discussions, and workshops that utilize mental, physical, and creative exercises to explore the person the patients want to be or used to be in the context of cancer diagnosis and recovery. If awarded the funds we will be able to expand on patient perceptions of well-being and lift their spirits, whereby making treatment outcomes more successful. The 2012 Community Impact Project will offer nearly $1.4 million in implementation awards to 90 finalists. This represents the largest number of financial awards LIVESTRONG has granted in a single year in the history of the foundation. LIVESTRONG is committed to supporting community organizations in their efforts to help cancer survivors face the challenges and changes that come with cancer and has invested more than $70 million in community-centered organizations. Voting ends on March 23, 2012 at 5:00 p.m. CST. For more information about the 2012 LIVESTRONG Community Impact Project and to vote, visit http://vote.livestrong.org/. For more information about The Gallery School of Pottstown visit http://www.galleryonhigh.com or about the Pottstown Memorial Regional Cancer Center visit http://www.pottstownmemorial.com. About the Gallery School of Pottstown is a non-profit community art center. Our mission is to provide a solid educational foundation to youth and adults alike, regardless of income level. We help students foster their creativity and develop their talents both for personal enrichment and as a foundation for advanced studies in the arts. The mission of the Gallery School of Pottstown is to enrich the lives of the residents in the greaterPottstownarea through the visual arts, regardless of ethnicity and economic situations. Our goal is to spark creativity, build self-confidence and develop community bonds through education, mentoring and community service. About LIVESTRONG/Lance Armstrong Foundation LIVESTRONG serves people affected by cancer and empowers them to take action against the world’s leading cause of death. Created as the Lance Armstrong Foundation in 1997 by cancer survivor and champion cyclist Lance Armstrong, the organization is now known publicly by its powerful brand — LIVESTRONG — and is a leader in the global movement on behalf of 28 million people around the world living with cancer today. Known for its iconic yellow wristband, LIVESTRONG has become a symbol of hope and inspiration to people affected by cancer around the world. Since its inception, the organization has raised $450 million for the fight against cancer. For more information, visit LIVESTRONG.org. Since 2001 LIVESTRONGhas funded the development of more than 200 programs across the United States providing direct support to hundreds of thousands of people affected by cancer. Beginning in 2010 our Community Program evolved into a mechanism to replicate many of these programs in new communities. The Lance Armstrong Foundation focuses on survivorship as an actual aspect of the cancer treatment. The foundation has invested more than $104 million in education and programs, $65 million in grants and awards and $33 million in advocacy and engagement. 81 percent of the money we raise is devoted to serving people and families with cancer. If you are a cancer patient/caregiver; newly diagnosed, in treatment, or living as a survivor and need any assistance, please contact local LiveSTRONG Leader Ashley Spurlock, SpurlockA@comcast.net, 610-513-4076. This program provides women with potentially life-changing information on preventing breast cancer, preventing its recurrence and supporting yourself during or after treatment. Men are also welcomed to support loved ones, mothers, daughters, sisters and wives. Understanding growing rates of male breast cancer and prostate cancer are applicable. Former Penn State football coach Joe Paterno is near death, a source close to the Paterno family told The Citizens’ Voice. On Saturday afternoon, Paterno’s wife, Sue, called close friends of the former coach to the State College hospital where Paterno has been undergoing treatment since Jan. 13 for complications from his fight against cancer. Paterno, 85, wanted to say a final goodbye, Sue said, according to the source. Those close friends included his longtime secretary. 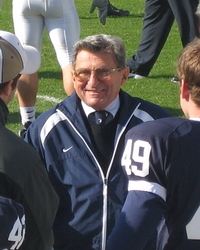 Members of Paterno’s extended family were also summoned to the hospital. His son, former assistant coach Jay Paterno, cancelled an appearance in Reading, Pa., telling organizers 15 minutes before the scheduled start that he would not be able to make it because “his wife” was sick. 100% of the money raised goes directly to Alex’s Lemonade Stand for childhood cancer research in memory of Shelli Lafferty. 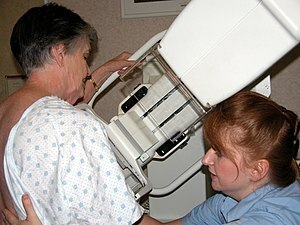 Are You Over The Age Of 40 And Need A Mammogram? You must pre-register in order to participate due to limited space. For more information or to pre-register please call Glenda at 610-970-2134. Michael Douglas May Have Beaten The Odds!! Finally, some good news to report! 66-year-old actor Michael Douglas has announced that his tumor is gone. Douglas has been battling throat cancer and had lost 32 pounds in the process. His gaunt pictures have been seen on tabloid magazines and television. Many have speculated the worst. Douglas has started an exercise regimen and has gained 12 pounds back! He is set to start filming in May or June. The new film will be a biopic about flamboyant pianist Liberace and Douglas will play the title role. 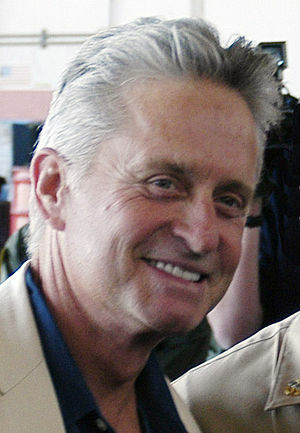 We wish Michael Douglas a full recovery and many years of good health! Just learned that another person in my life has lost their battle with cancer. She was just put on hospice care yesterday! We need to find a cure! Too many people are taken from us too soon by this horrible disease. RIP Aunt Sandy. We love you!